The second-largest school system in the U.S., the L.A. Unified School District, has awarded Apple with a $30 million contract to provide iPads to every student it serves [updated with comment from Apple]. The deal was approved by the district's board in a unanimous vote on Tuesday, according to the Los Angeles Times. The district will pay $678 per device, and the iPads will come preloaded with educational software. Update: Later Wednesday, Apple issued a press release touting the board's decision to exclusively adopt the iPad for classroom use. The company also noted that the $30 million deal is the first phase of a larger roll-out for the Los Angeles school district. "Education is in Apples DNA and were thrilled to work with Los Angeles Unified public schools on this major initiative as they plan to roll out iPads to every student across 47 campuses this fall," said Philip Schiller, Apples senior vice president of Worldwide Marketing. "Schools around the world have embraced the engaging and interactive quality of iPad with nearly 10 million iPads already in schools today." 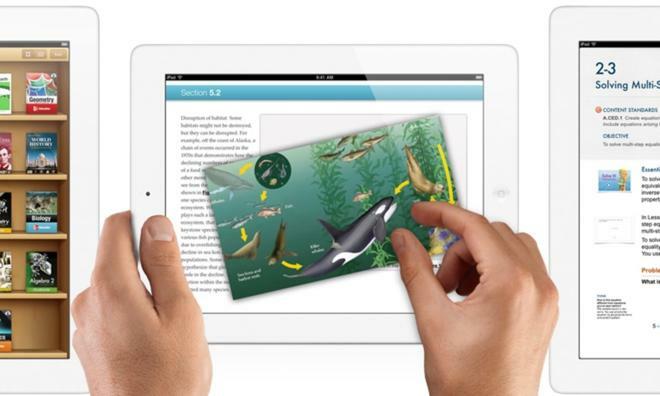 Apple said that the iPads will come with the Pearson Common Core System of Courses, as well as iWork, iLife, iTunes, and other educational third-party apps. "Education is in Apples DNA and were thrilled to work with Los Angeles Unified public schools on this major initiative as they plan to roll out iPads to every student across 47 campuses this fall," Philip Schiller, Apples senior vice president of Worldwide Marketing. "The Board voted unanimously for Apple because iPad rated the best in quality, was the least expensive option and received the highest scoring by the review panel that included students and teachers," said Jaime Aquino, LAUSD Deputy Superintendent of Instruction. "The vote is another step forward in the Districts plan to equip every one of its students with a device by 2014. When completed, the LAUSD will become the largest district in the nation to provide each of its students with the technology." Members of the board characterized the deal is one of the "most high-profile contracts" they will ever approve, declaring it "as big as they come." With the board's approval, the iPad will be used by students at 47 campuses in the L.A. Unified School District. The board opted to choose Apple as the sole vendor after students and teachers rated the iPad as the highest quality tablet available on the market. The contract is so significant that Apple's rival Microsoft got involved, asking the district to pilot more than one product and consider its Windows devices. The Redmond, Wash., software company argued that most businesses use Microsoft platforms, and Windows tablets would be a good way to expose students to those devices. District staff, however, declared Apple's iPad the superior product. They said it wouldn't be fair to require some students to use a different, lesser product than the iPad. iPad sales to educational institutions have become increasingly common as tablets have grown in popularity. Data from last year demonstrated that Apple's iPad is definitively replacing sales of traditional PCs in education. One pilot program in Idaho dubbed "iSchool Campus" has earned rave reviews from educators and students alike. In addition to providing a more engaging way to teach students, Apple's tablet has also helped reduce costs at Paul Elementary in Minidoka County, Idaho, by eliminating 20,000 paper copies a month. iPad adoption isn't limited to grade school either. An initiative at Arkansas State University will require all incoming students to have an iPad as of this fall.